Energy giant Shell is visiting 50 towns in Kenya with social enterprise GravityLight to spread the word about the technology that aims to replace the sometimes dangerous kerosene lamps used by many people in the East African country. The device uses a bag filled with 12kg of rocks or sand, which after being lifted off the ground, slowly falls over 20 minutes, generating enough electricity to power a small light. This is the second of six projects in Shell’s "energy relay", as part of its #makethefuture campaign, which is seeing it work with six energy start-ups to promote the adoption of innovative clean and renewable methods of energy generation. "It’s very important that we support each one of the entrepreneurs in a way that is meaningful," said Shell’s group head of integrated brand communications Malena Cutuli, who acknowledged that the business faces high public scepticism about marketing its clean energy initiatives. The way around this, she said, is to ensure that marketing activations always came out of concrete projects, rather than starting as an opportunity for publicity. "Consumers expect that large-scale marketing has purpose," she said. "It’s about bringing real ideas into action. You will not see projects from us that are only a PR stunt. Everything has the object of outcome and objective." For GravityLight, this meant allowing the founders of the business to choose the location of the project. 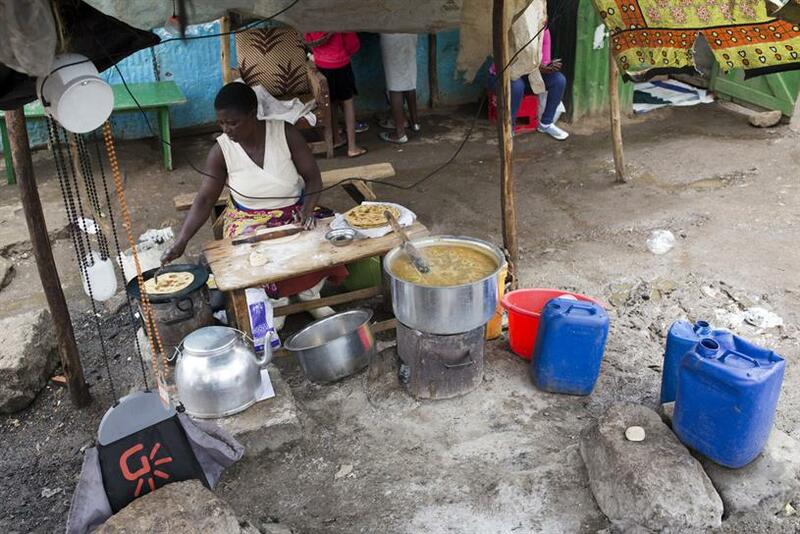 Kenya was selected, in part, because of the high use of kerosene lamps for night-time lighting, which frequently cause health problems from their fumes, as well as burns. GravityLight hopes to tackle these problems by demonstrating a clean alternative that comes with the advantage of zero running costs. The tour is visiting 50 towns across 50 nights and is being documented on Shell's social media channels. 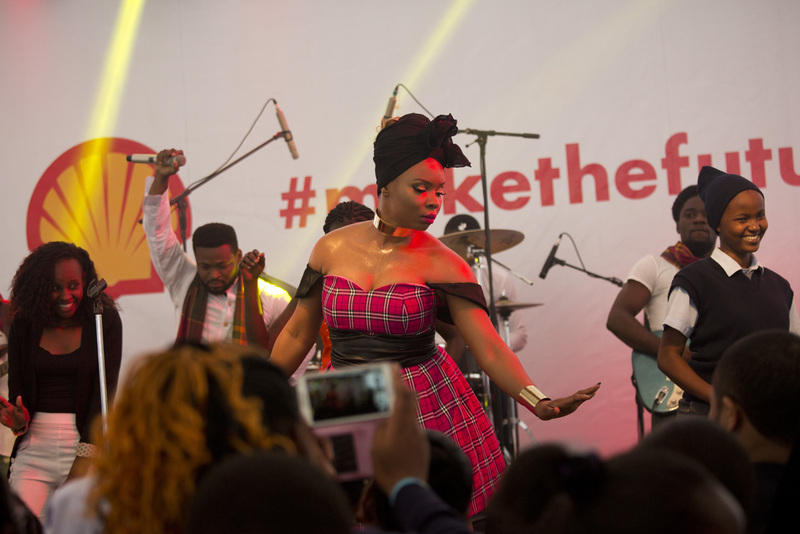 As well as the core activity of installing lights in people’s homes, the project will see Nigerian singer Yemi Alade join the tour, meet some of the beneficiaries and visit the Daraja Academy, a school for girls who would otherwise not be able to afford an education. This aspect of the campaign aims to highlight the multifaceted benefits of GravityLight, Cutuli said. "The idea is to highlight the importance of Stem education and how GravityLight can help," by making it easier to read in the evenings, she explained. "One of the things we’re also doing as a matter of follow up content is to record local stories under the GravityLight every day at sunset, that hopefully will become a digital book." The project has been created and run by a number of agencies that Cutuli said had worked in close collaboration. J Walter Thompson is the inter agency lead, with JWT Live the activation team on the ground; Cord is locating the 50 people to appear in the digital book; Starstruck is responsible for real time social media; Edelman for social media monitoring and PR; Colloquial for content capture; Possible for digital and Medicom for paid media. All six were featured in a music video created for Shell by Interlude and featuring six international singers, including Alade, Pixie Lott and Jennifer Hudson. Cutuli insisted that the entrepreneurs behind these projects were just six of many that Shell has worked with in recent decades, through various programs, to find solutions to the world’s energy challenges. It was just something that "we never talked much about", she said. The thinking behind #makethefuture is for Shell to shout a bit louder about that. "We wanted to do something that would be long lasting," said Cutuli, "that would be alive way after the news was over. We really wanted to make sure that people appreciate the connections between a company like Shell and entrepreneurs."